We’ve all dreamt about having a gym in our home - and now with our list of home gym kit essentials, you can make that dream a reality. We break down what you need to have to compile an ideal beginner's gym, suitable for core, compound exercises should you have that spare room. Have you ever sat back and thought you love working out, but getting to the gym is often a bit of a problem? Or perhaps the tools you want to use to hone your craft are always taken. If you have a spare room in your home, or maybe you’ve cleared out the garage and don’t know what to do with the space, housing a gym could be the answer. Whilst having a home gym is an initial investment - once it’s set up, you’re all in. No more fees, no waiting for the 10kg dumbbells to be free, no getting caught in traffic, and you can workout whenever you want. Did we mention you would also have control of the music being blasted out? So what do you need to buy to ensure your home gym is ready for its opening? Here is our list of home gym kit essentials. Cardio is necessary - and there’s no getting around it. Having a treadmill is perfect for those rainy days where you don’t want to go outside; but also you can use it to warm your body up after stretching or even use it to cool down on off-days. Say goodbye to calories and hello to a sharper, leaner you. We recommend the Life Fitness 95Ti Commercial Treadmill, however you can browse our entire range of treadmills at your own leisure if you are after something specific (or have a colour scheme in mind)! The 95Ti is a no-nonsense, agile treadmill, with a clear and accessible display for you to track and monitor all vital signs as well as navigate settings to up your cardio game. 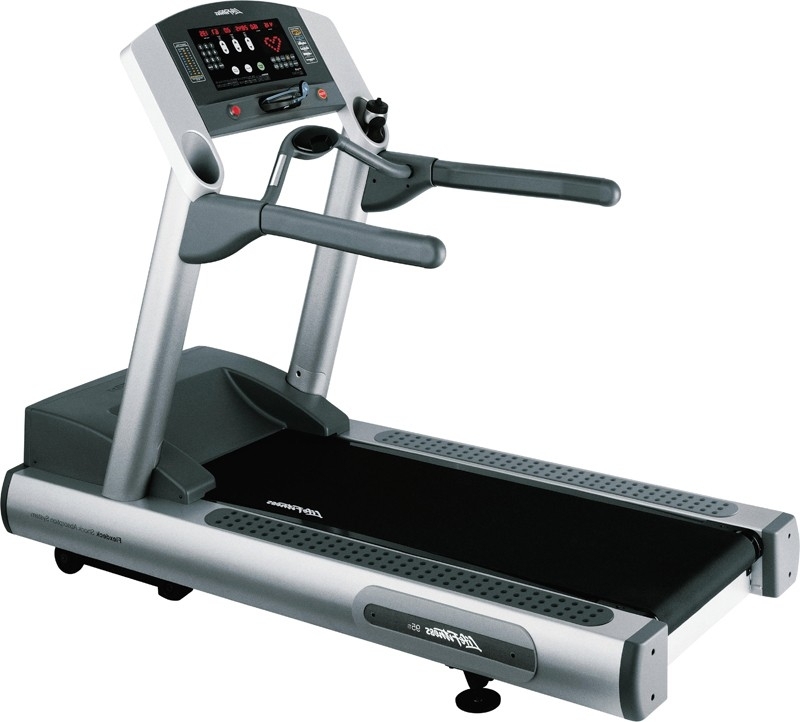 The Life Fitness 95Ti Commercial Treadmill is questionably the best-selling, fully featured Life Fitness treadmill on the market and is highly recommended by many gyms and professional trainers for its gym-quality features. If you are a intimidated by weights, or starting out, you can emulate any of the exercises that you would do with a dumbbell or barbell with a resistance band. This is a safe alternative to learning roper form and ensuring you’re comfortable with your movement before adding weight. Resistance bands are perfect for taking on the road with you also when you need to get a small workout in - allowing you to work on muscle growth as well as exercises to get you gasping for air and increase heart rate. Not only that but resistance bands are a very versatile tool - they can also be used to help you stretch and warm up, making it an ideal staple for your home gym. Best of all, they’re very cheap. Take a look at our selection of resistance bands and tubes. A multi-purpose gym mat is vital, not protecting yourself, your weights and everything in between from the floor and vice-versa. It’s also a comfortable and safe accessory that will allow you to stretch and perform exercises on the floor when required. Never overlook purchasing one (or three). Weight are a home gym essential - there’s no way around it, especially if you want to build muscle and improve strength. Luckily for you, the Flexbell 2 allows you to do just that. Flexbell is “the world’s smartest dumbbell”, cleverly engineered to reinvent free weight training and strength workouts as we know them through patented gym-pioneering technology. Start with the 2-20kg set and expand your dumbbells as your demands grow. Look no further than Dynamax. All balls are moisture resistant and are made from 70% post-consumer recycled materials. The design and construction ensures that they will remain dimensionally stable and balanced. Their trade secret and craftsmanship guarantee that each ball, regardless of weight, has a friendly feel and will absorb high velocity impact, making for a fun and vigorous workout. A firm staple to any gym is a weight bench - allowing you to work on your strength, primarily on your arms and chest - to bring your body to life. Choosing one that is as functional as possible will allow you to get the most out of your home gym; if it can change height, you’ve opened up the door to working new muscle groups with incline and decline exercises. Obtaining a rack is an incredibly beneficial investment if you truly are dedicated to working out at home. It’s multi-functional purposes make it the Swiss army knife of the gym floor - saving space and money. A rack will allow you to perform many compound and necessary core exercises that finely tune your body, build strength, and allow you to get an all-round workout in. The premise of the vastly successful 5x5 Stronglifts routine is based around a rack (and bench) to which you can see your strength greatly improve and physique bulk up in a matter of weeks. The key is consistency and a willingness to try. 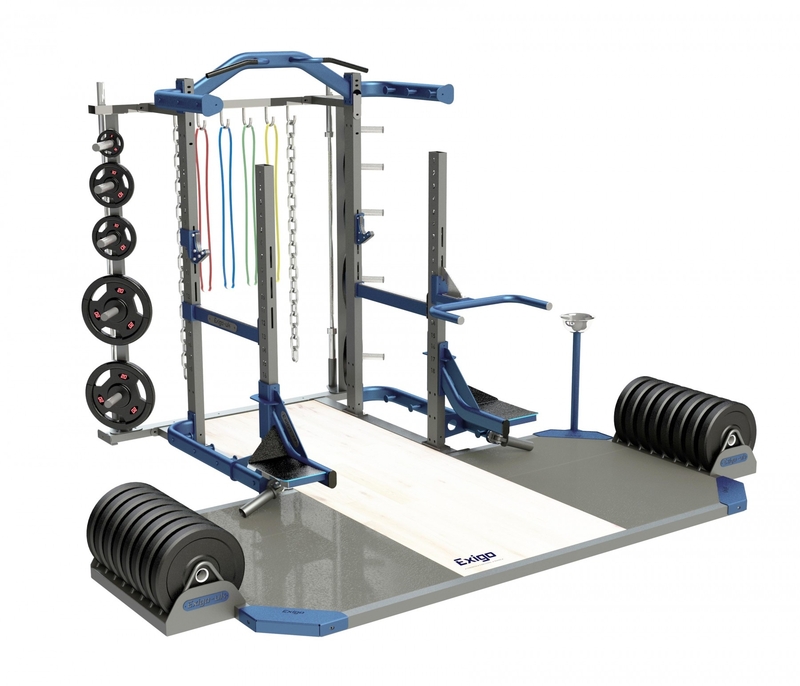 The benefit of this Exigo Elite Multi Rack is it has been designed to serve a multitude of purposes and allow you to do most functional exercises, including squats, deadlifts, overhead presses, pull ups, chin ups, dips, muscle ups, barbell rows and more. Its surface area is shock absorbent for the big weights and is also a useful clear area for lunges and core work. If you’re now liking the sound of your own gym, look no further! 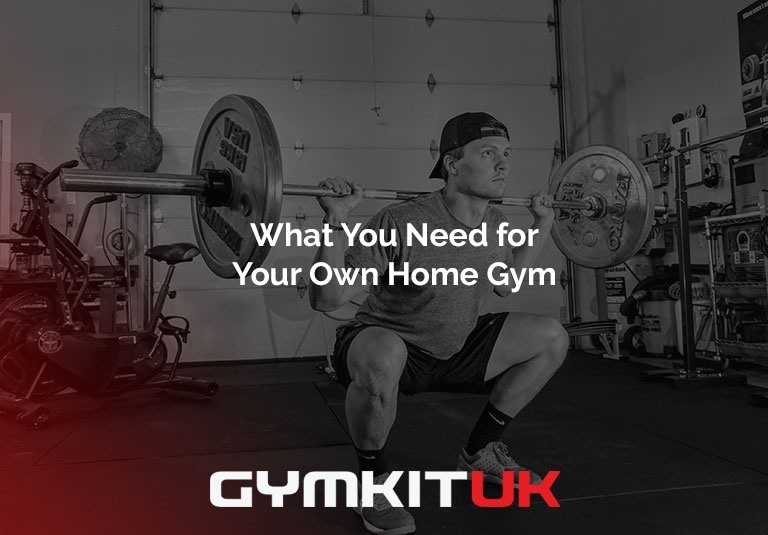 Solutions by Gymkit UK offer a complete renovation service; able to turn any space from drab to the perfect gym for you in your home or commercial space. Contact us today and see what we can do for you.